SMi Group are delighted to announce the 6th annual Pharmaceutical Freeze Drying Technology conference, being held this June 2018! Read on for a massive £400 off. Although an old process, pharmaceutical freeze drying is ever evolving with new trends and approaches being used for pharmaceutical formulation. 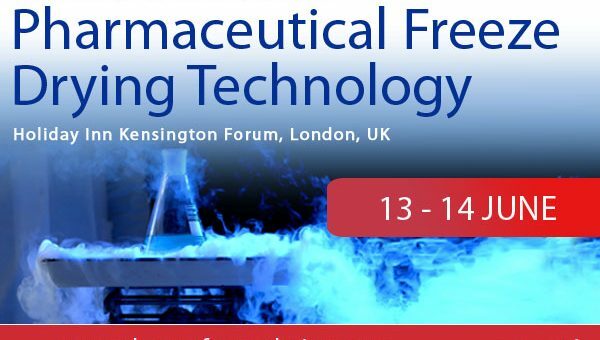 In it’s 6th year, the conference will cover the most recent advances in Freeze drying technology and discuss the latest ideas in the industry. It is the perfect platform to strengthen knowledge in key principles such as PAT and QbD, whilst staying at the forefront of technological breakthroughs to adapt to growing manufacturing demands. Gathering a room of Senior Scientists and Heads of Pharmaceutical Engineering, the 6th annual show provides an ideal forum to discuss the latest advancements in pharmaceutical lyophilisation, welcoming regulatory guidance from the NIBSC-MHRA and expertise from the likes of Sanofi, Boehringer Ingelheim, Janssen, GSK and more! PLUS: Don’t forget to check out the two-post conference interactive workshops taking place on 12th June.